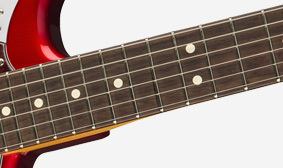 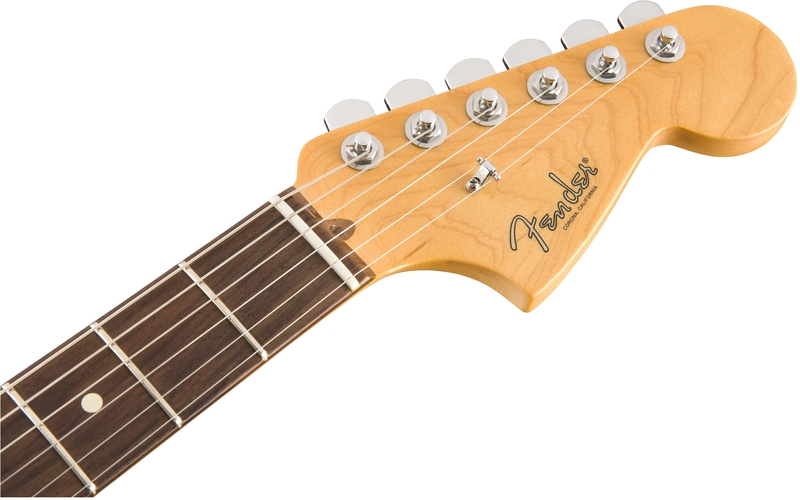 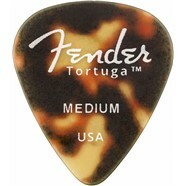 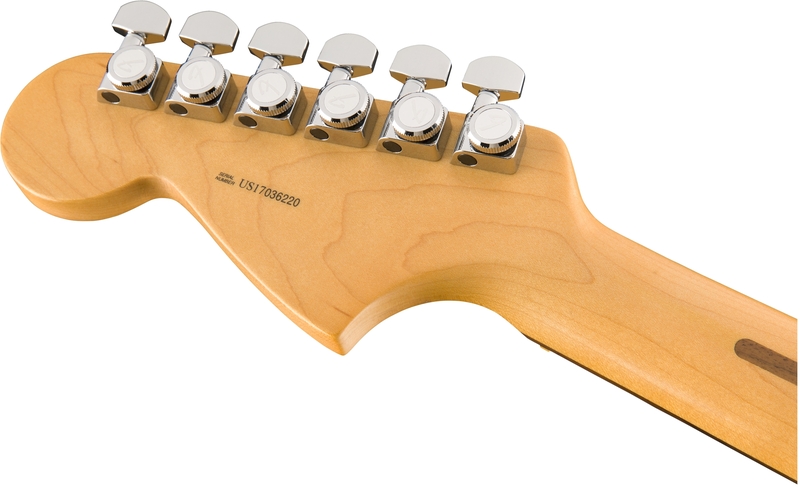 Long used by Fender for its electric guitar bodies, alder is noted for bright, balanced and resonant tone, along with large, swirling grain patterns. 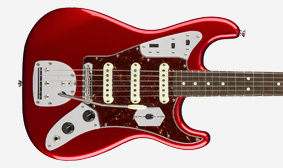 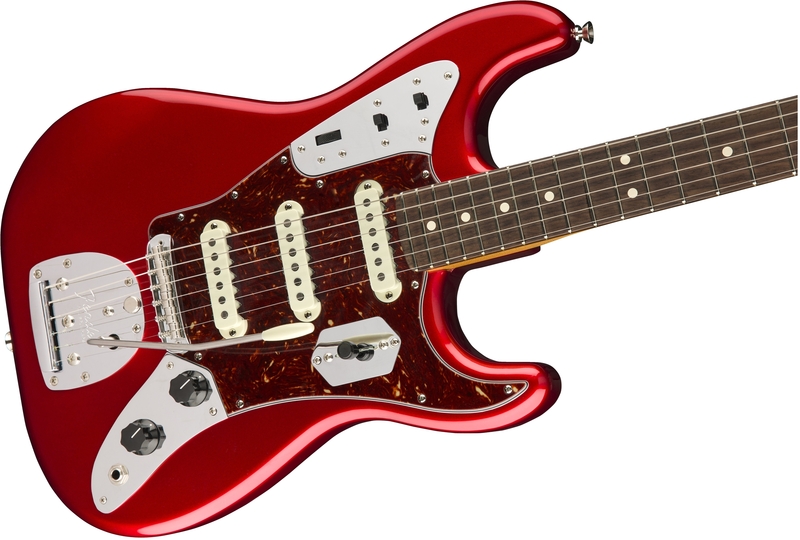 This instrument’s modern 9.5” fingerboard radius is slightly more flattened than a vintage-style radius, offering enough arc to provide a natural fret-hand feel. 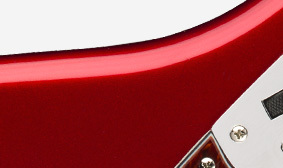 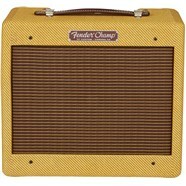 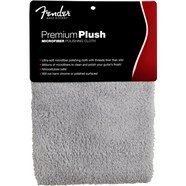 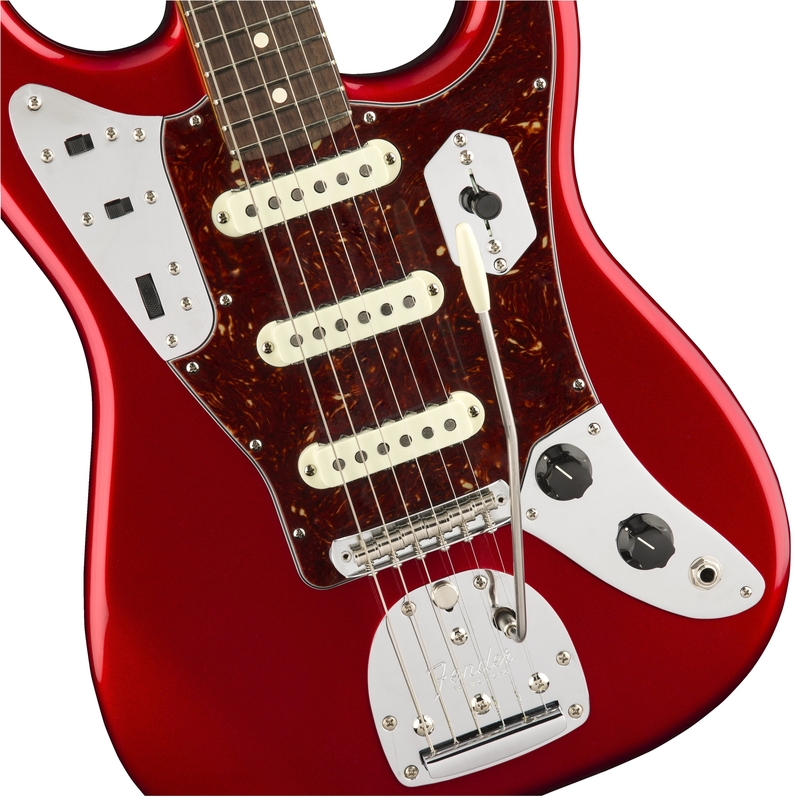 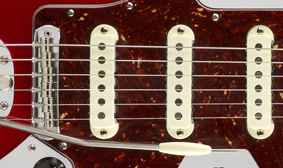 These pickups use original-era construction techniques to recreate authentic Fender tone—bright and aggressive, they have some bite. 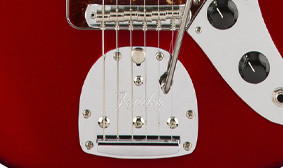 This vintage-style floating tremolo features lock button and a 9.5”-radius to ensure your strings match the fingerboard’s arc. 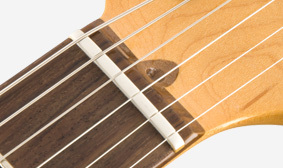 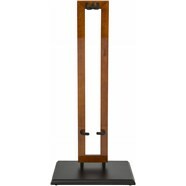 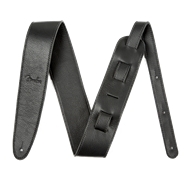 The pop-in arm stays in place and the tension can be adjusted to match your preferences.